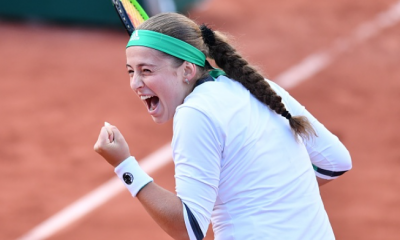 The teenage sensation has taken the French Open by storm, but who is Jelena Ostapenko? 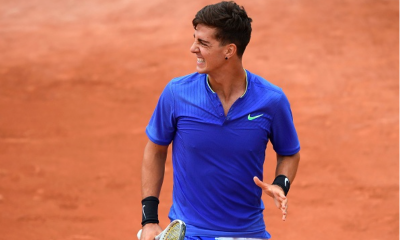 With the 2017 ATP World Tour in full swing, we take a look at 5 starlets who have been dubbed the ‘next generation’ of players to take over the tour once the likes of Federer, Djokovic, Murray and Nadal hang up their rackets and ride off into the sunset. Admittedly, this one’s a bit of a cop out, as the current world number 10 isn’t exactly a name that no-one’s heard of it, but regardless, the 20-year-old is being labelled as a future world number one, which is no mean feat. In fact, in late 2016 he became the youngest player to break into the top 20 since Novak Djokovic in 2006, which perfectly emphasises his huge potential. The German is 6’6, has reached the 3rd round in all but one Grand Slam (he’s only reached the 2nd round at the US Open), and already has three career titles (St Petersburg in 2016 and Munich and Montpellier in 2017), all at just 20-years-old. 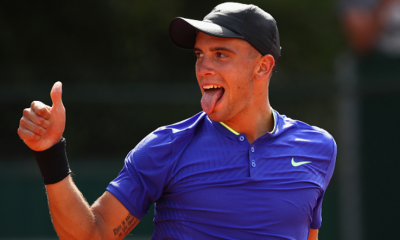 He was also the 2015 ATP Star of Tomorrow, both following and being succeeded by two players who are also on this list, Borna Coric (in 2014) and Taylor Fritz (2017). In May 2017, he beat Novak Djokovic to win the Italian Open, sending him soaring into the top ten. Coric is a lot smaller than the previous two players, measuring in at 6’1, 174lbs, but he is still one of the best ‘next gen’ players on the circuit. 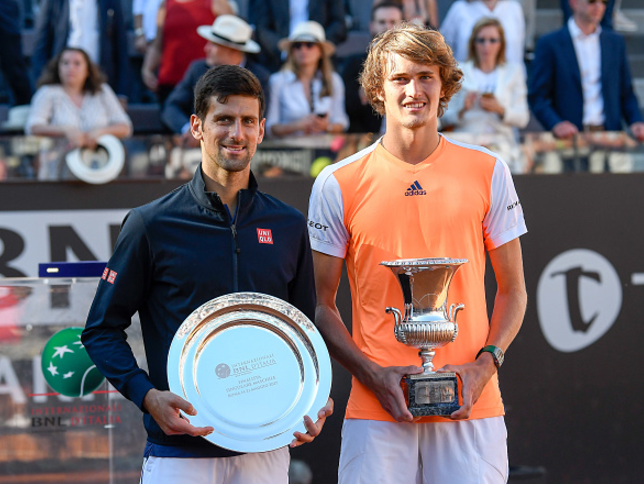 The Croatian earned his first ATP title this year, having come close in recent years (losing to Stan Wawrinka in Chennai and Federico Delbonis in Morocco in 2016), after saving five match points to eventually dispose of Philipp Kohlschreiber, 5-7 7-6 7-5, in Morocco. In 2014, aged just 17, he beat the then world number 3 Rafael Nadal in the Swiss Indoors tournament, a win which launched him into the top 100, becoming the youngest player to do so since Nadal himself in 2003. He picked up the ATP Star of Tomorrow award in 2014 for being the highest ranked sub-21-year-old in the world rankings. Khachanov reached a career high ranking in May 2017, coming in at world number 42, moving up 14 spots after reaching the quarter finals in Barcelona. He won his first career title in 2016, aged just 19, defeating Albert Ramos-Vinolas in three sets, 6-7 7-6 6-3, in the Chengdu Open. By making the final, Khachanov also became the first Russian since Mikhail Youzhny – who beat David Ferrer in Valencia – to do so since 2006. The 6’6, 194lb Russian is already a formidable opponent across the court, and in the years to come he is a name to watch out for in future Grand Slams. Chung is the wildcard of this list, despite his high ranking, as he competes frequently in ATP Challenger events, as opposed to on the full tour. However, he is very highly regarded on the circuit, and many believe he is a future top ten player. Like Coric, he is only 6’1, 183lbs, but the South Korean has played the majority of his early tournaments competing almost solely in Challenger events, climbing as high as 51st despite winning only one Grand Slam match (against Jack Duckworth in the 1st round of 2015 US Open) as a result. Overall, he’s won 8 Challenger titles and 4 ITF Futures titles as he builds his career through those tournaments, but his rise through the rankings will surely force his hand as he competes for titles on the full tour in 2017. The 6’4, 19-year-old American only turned pro in 2015, but has been grabbing people’s attention ever since. 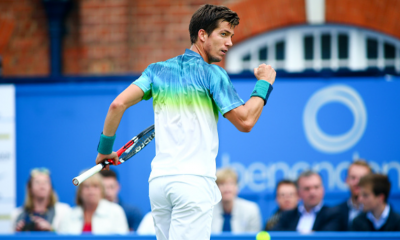 In 2016, he beat Steve Johnson in Memphis who, at world number 29, is the highest ranked player Fritz has beaten, and after beating Ricardas Berankis in the semi-final, he became the youngest American to reach an ATP final since Michael Chang in 1988. He made the quarter final in Acapulco to break into the top 100 for the first time, and he peaked in the rankings at world number 53 after a valiant defeat to Roger Federer in Stuttgart. 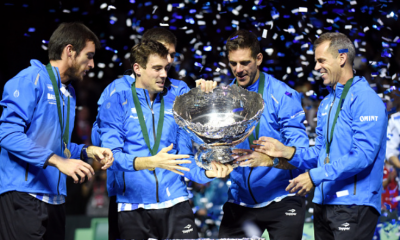 For his efforts, he won the ATP Star of Tomorrow award for 2016, rounding off the three previous winners to make this list.